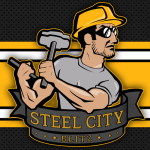 On this episode of the Steel City Blitz Steelers Podcast presented by 26shirts.com/Pittsburgh we are getting you primed for the NFL Draft which is now less than four weeks away. Will the Steelers get one of those top two linebackers? What if both are gone, what then becomes the strategy? All that plus some free agent talk too.